You know how important it is to make sure friends and family are entertained throughout your celebration. How do you do that? 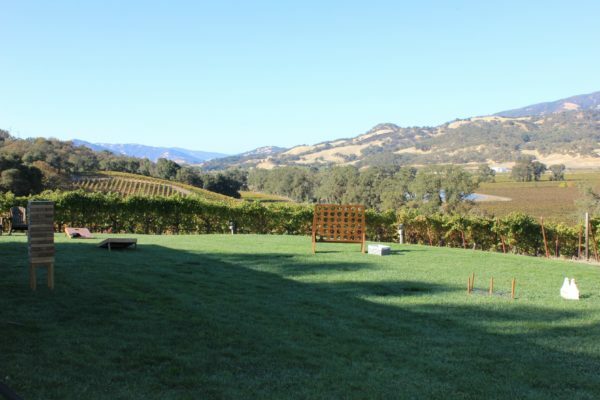 How can you make your wine country wedding more fun? Well, having an amazing DJ is an absolute must. And photobooths (click here to see if they’re available for your date) are always big hit. 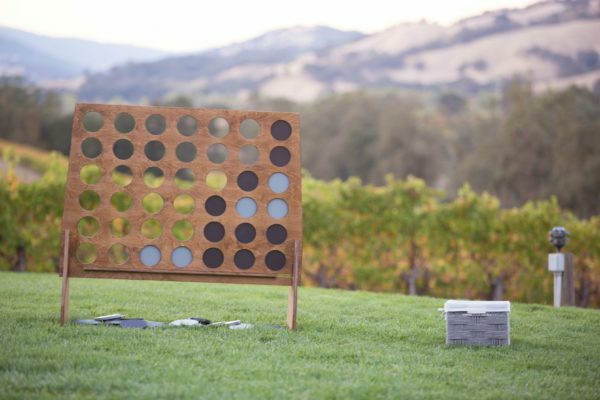 But lawn games are probably the perfect addition for a wine country wedding. Talk about taking it to the next level of fun! They are also an easy and pretty affordable way to get guests of all ages mingling with one another with tons of laughs and excitement. 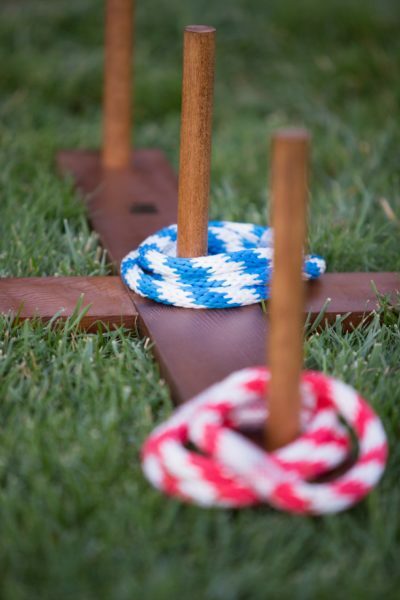 There will be no lulls or down times with these lawn games- they are a blast and bring out the friskiness in everyone! 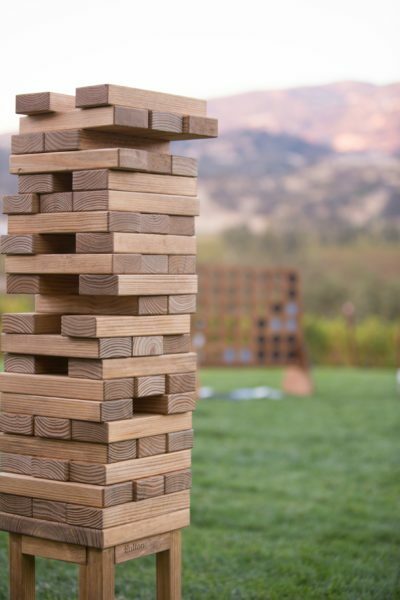 Handcrafted from solid wood with a beautiful rustic stain and rounded corners, these are not games you would see at a football tailgating party or at a backyard BBQ. 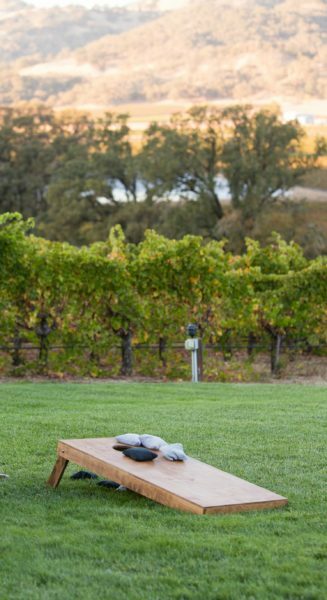 They blend in beautifully with any wedding decor and are stunning set against the gorgeous wine country (almost all photos in this post were taken by Matty Photo & Motion). They are not ginormous therefore they set up easily for outdoor or indoor venues. 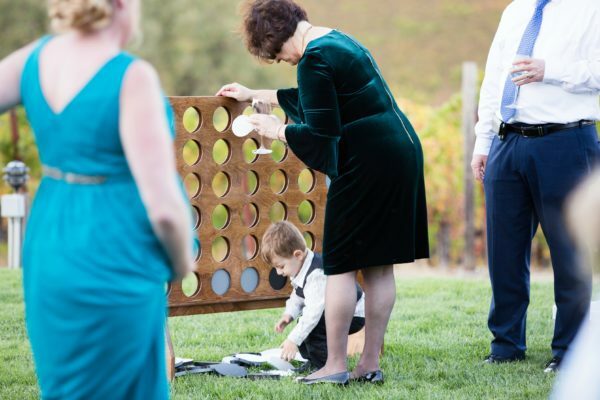 The perfect choice for those who want their family and friends to enjoy the games during cocktail hour (while bride and groom snap photos), pre-ceremony and even during the reception. Interested in having an amazing wedding too? Call or text @ (707)823-7359, or email AMS Entertainment!